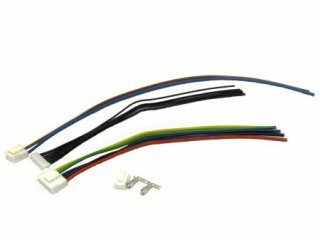 Enlarge The cableset SMPS180/400 is a complete set of cables to connect the SMPS180, SMPS400A180 or the SMPS400A400. 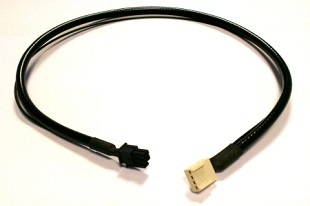 Enlarge 50cm balanced signal cable with 4-pin connectors on both sides to connect our DLCP to our Ncore modules also providing the enable signal. 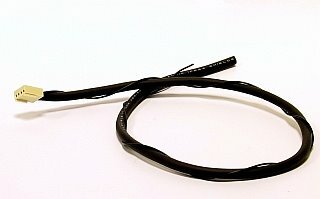 The QuietConduit cable design incorporates several refinements over normal balanced cables. A conductive polymer interface layer between the braid shield and the insulation of the signal conductor short-circuits triboelectric currents where they are generating, virtually eliminating microphonic noise pickup. A secondary benefit of this layer is to improve the electrostatic shielding effectiveness of the braid shield. 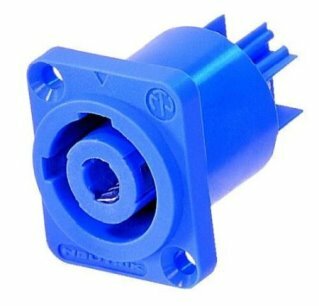 Another crucial improvement is the elimination of drain wires, which is normally included for ease of termination but which allow shield currents to couple noise asymmetrically into the signal conductors. 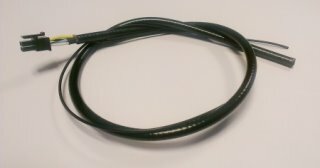 The geometry of the QuietConduit cable is precisely controlled, insuring that any noise coupling is strictly limited to common mode. 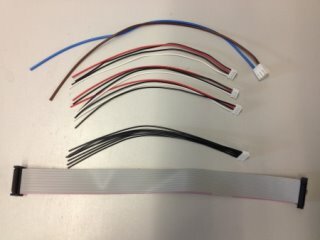 Enlarge 50cm balanced signal cable with 4-pin connectors on both sides to connect our DLCP to our UcD modules also providing the enable signal. 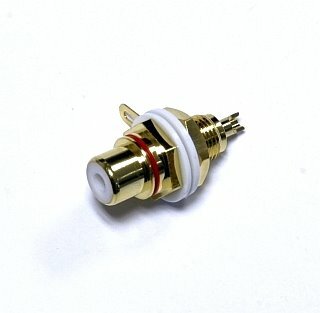 Enlarge This goldplated RCA connector can be used for your amplifier case to connect your audio signal from your pre-amplifier. 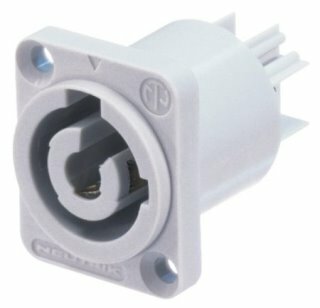 The connector is isolated by teflon rings. 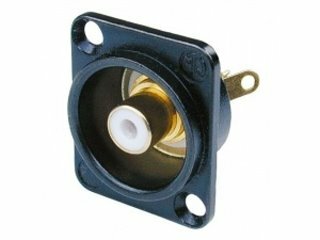 The mounting hole must be 9.5mm in diameter. 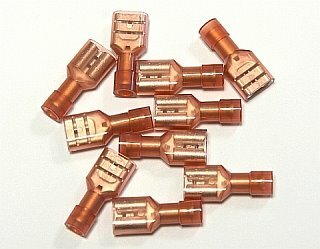 Enlarge Custom-made Gold-plated RCA connectors for building your own interlinks. 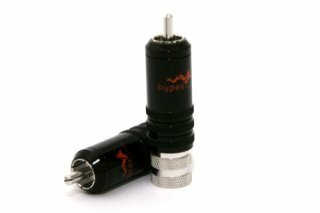 Fits on cables with a maximum of 8mm in diameter. 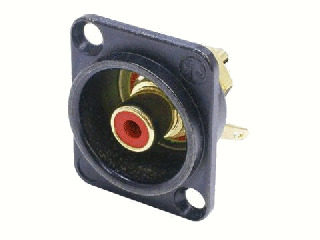 Enlarge This gold plated Bindingspost can be used to connect your loudspeaker wires to your amplifier module. 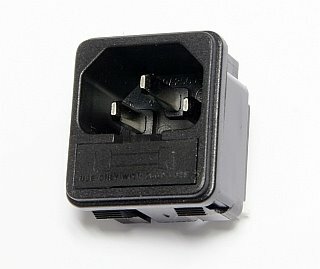 Connection with Bananaplugs, Spadeplug and wires are possible. 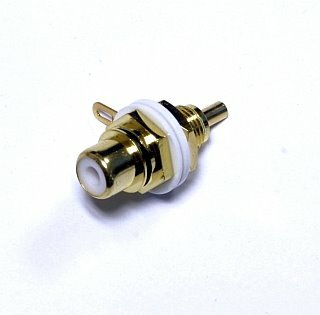 Enlarge Goldplated bindingspost to connect your loudspeakers to your UcD modules. 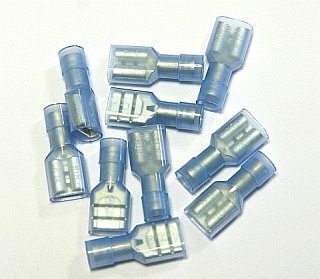 For banana plug, spade plug and wire connections. 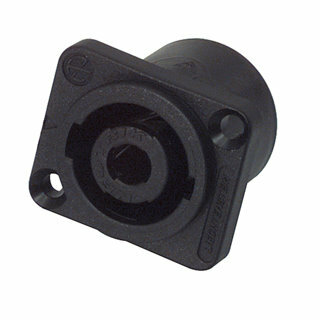 This bindingspost can be mounted as a set with the black mounting plate or as two single connectors. 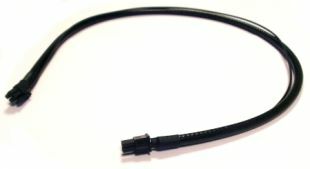 Enlarge 50cm balanced signal cable with 4-pin connector also providing the enable signal. 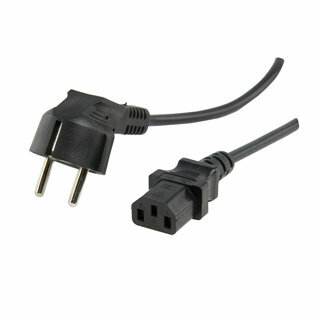 Enlarge Neutrik Powercon NAC3FCA to connect your amplifier or other device to the powernet. Enlarge Neutrik Powercon NAC3FCB to connect your second amplifier or other device to the powernet from your first unit. 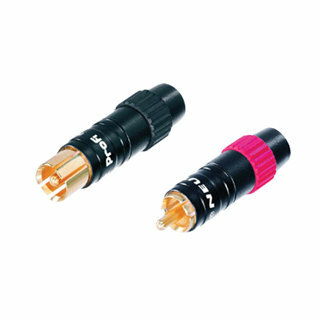 Enlarge Neutrik NF2D-B0 RCA connector to use in your case to connect your amplifier module to the audio source. 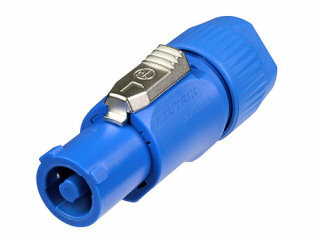 Enlarge Neutrik NF2D-B2 RCA connector to use in your case to connect your amplifier module to the audio source. 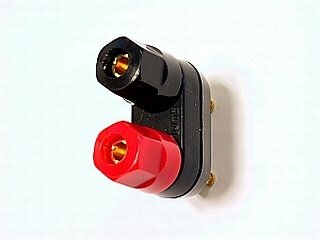 Enlarge Neutrik NF2D-B9 RCA connector to use in your case to connect your amplifier module to the audio source. 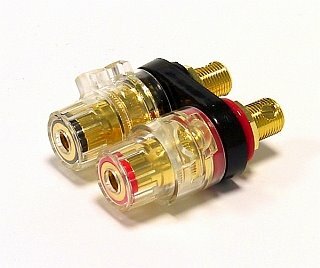 Enlarge RCA Stereo set with two Neutrik gold plated RCA connectors. 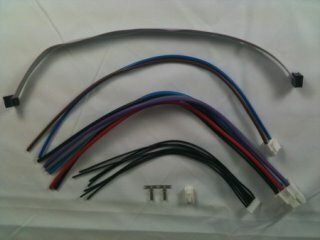 Also included two types of cable strain relieves so many kind of cables can be used. Enlarge Neutrik Speakon NL4MP to connect your amplifier or other device to your speakers. 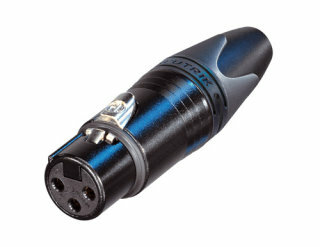 Enlarge 3 pole female XLR cable socket from Neutrik with black metal housing and gold plated contacts. 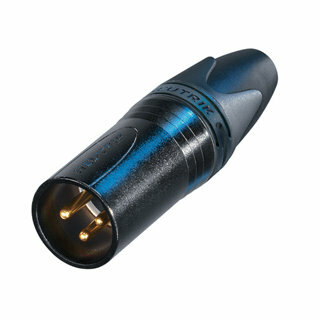 Enlarge 3 pole male XLR cable plug from Neutrik with black metal housing and gold plated contacts. 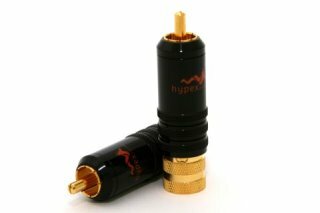 Enlarge 3 pole male XLR chassis plug from Neutrik with black metal housing and gold plated contacts. 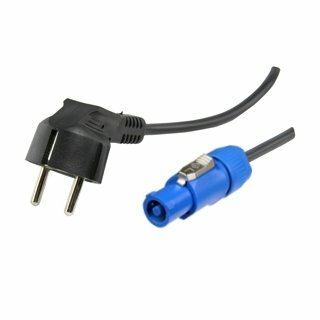 Enlarge Mains power cable to connect your products with Schuko and Euro connection. 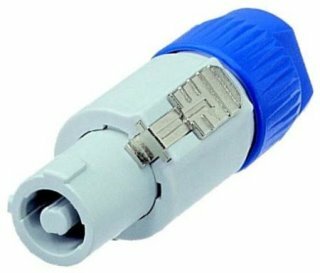 Enlarge This Euro power connector with fuse holder can be used in your amplifier housing to connect the mains power to your amplifier supply. 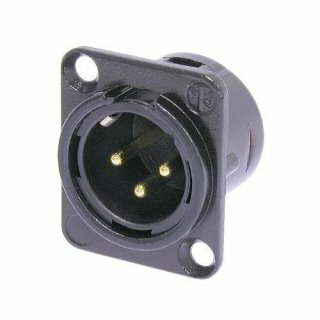 This power connector is capable to handle 10A at 230V. At the back are Faston terminals for easy connection. The mounting hole must be 32.5x27mm. Fuse not included. 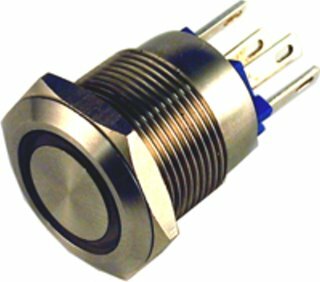 Enlarge Stainless steel push button with blue LED illumination. 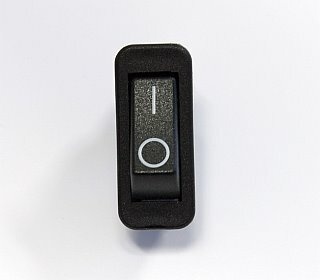 Ideal for controlling the softstart module. 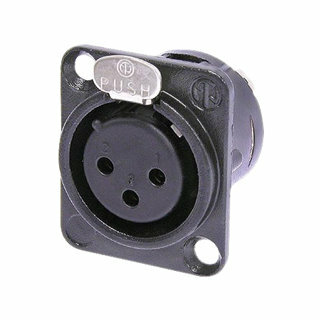 Enlarge This on-off switch can be used as a main switch for your amplifier cabinet. 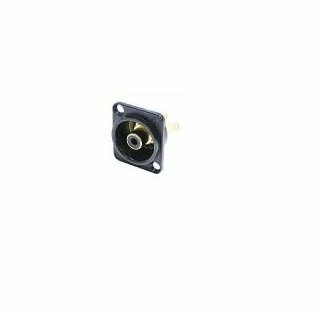 This snap-in switch can handle 16A at 230V. The mounting hole is 31x11mm and for about 25mm deep including the faston terminals.